The biggest frustration that comes with a mechanical pencil is broken lead, but for every problem, there is a solution. 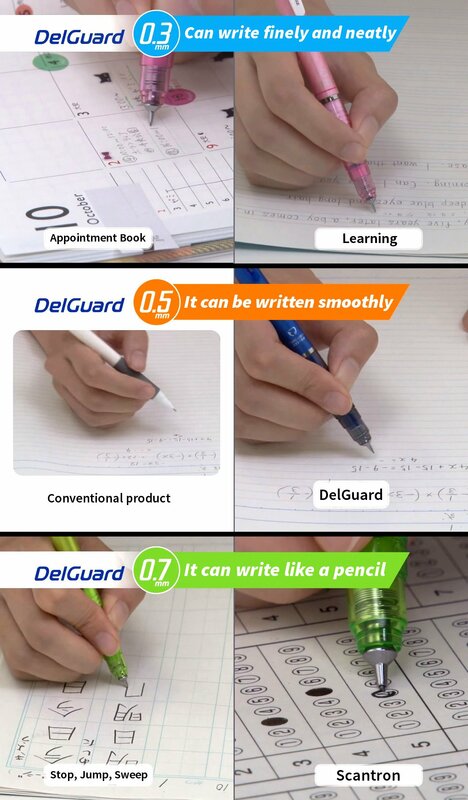 A solution comes in form of Zebra DelGuard clutch pencil. 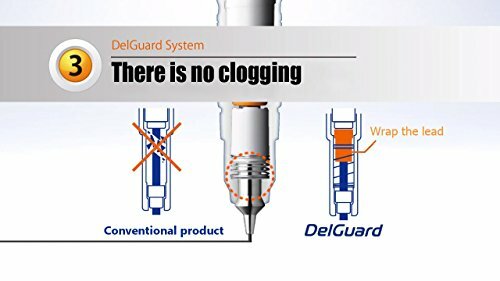 With Zebra DelGuard engineers have come to revolution solution and started a new era on mechanical pencils. At first, it looks like every typical mechanical pencil for daily tasks, and visual you will not even notice the difference. However, real difference comes to light when you start writing or drawing, especially if you apply too much pressure on your lead tip. This is the moment you will realize that you have the magnificent piece of engineering in your hand. For writers and drawing artists with a heavy hand during the action, this comes like a lifesaver. Imagine, no more broken leads! No broken leads, less money to spend. The great thing is that Zebre DelGuard is extremely cheap for this kind of engineering revolution. It solves problems of many people, especially for kids in school. It is known that kids apply a lot of pressure on writing tools, and that lead to frustrations. If you offer a kid Zebra DelGuard mechanical pencils they would be probably skeptic, but for the low price, you can’t lose too much. So why not to try it, and solve all the problems. Zebra DelGuard is like no other mechanical pencil on the market, solving a problem of unstable leads that easily snaps. Solving the biggest problem of a mechanical pencil, something that all of the users of clutch pencils wished. Usage of mechanical pencils today is wide, and you can find them in any area of daily tasks. 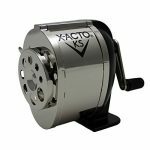 From creative use of mechanical pencils to use for drawing or doodling, to the schools or offices. Drawing artists will benefit from this unbreakable leads because they will not mess their artworks, students will gain more confidence in writing. And they will leave the frustration of broken leads far behind. No more broken leads, even with hard pressure! 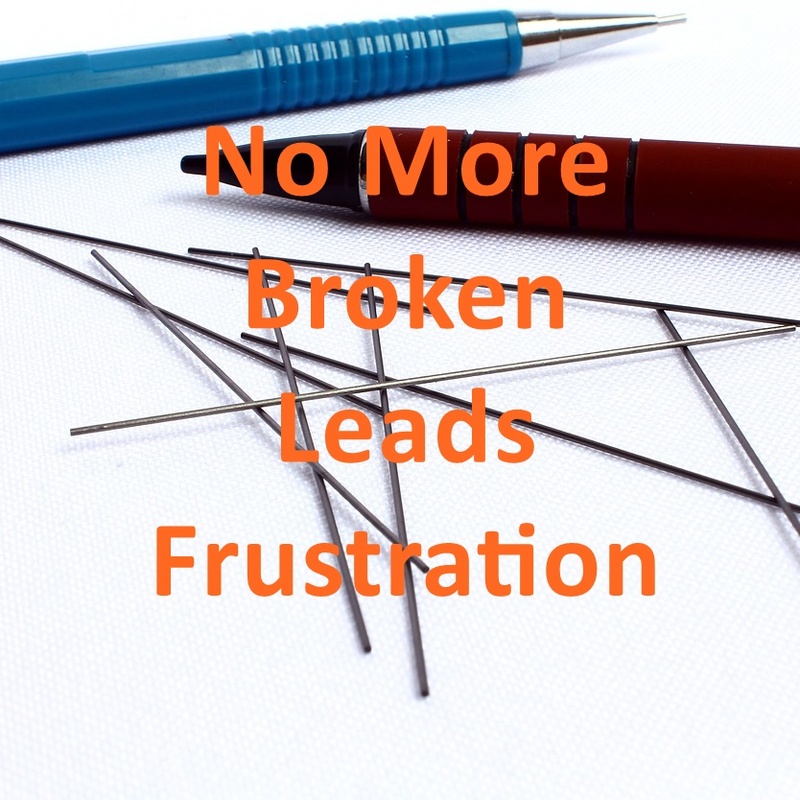 Less broken leads, less money to spend! 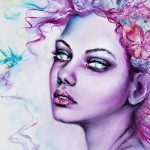 Many satisfied writers, artists, doodlers, kids! Many colors to pick, for all of you. Not available in all office or art stores!